Talk to friends or family who have recently moved, and ask for references based on their experience. Get at least three different estimates, obtaining all the same details from each company. What packing materials do they use and are they included in the quote or charged separately? How will your belongings be protected during the move? If storage is required, where and how will they store your possessions? If you're packing up your own valuables, remember the company will not be liable for anything you've chosen to pack yourself. Do some background research. How long have the movers been in the business? Can they provide references? Are they members of any type of movers' association? 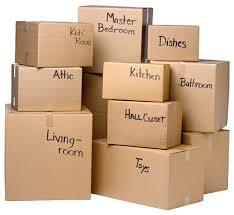 Find out if the movers provide insurance to protect your possessions against loss or damage. Request a copy of their policy or a written summary of their coverage. Pay attention to any limitations on their liability. Is the coverage included in their quote or charged separately? Timing is everything. Try to choose a weekday for your move, schedules permitting. Generally, Saturdays and the end of the month are the busiest times. If living in or moving to an apartment or condo, remember to book an elevator well ahead of the moving date.